If you've got children or pets, you have likely cleaned up your fair share of urine stains. Catch the stain quickly, and you will have more luck removing it than if it is a dry urine stain left days ago in a basement corner. Several products will help you to remove the odor and the stain from various materials. 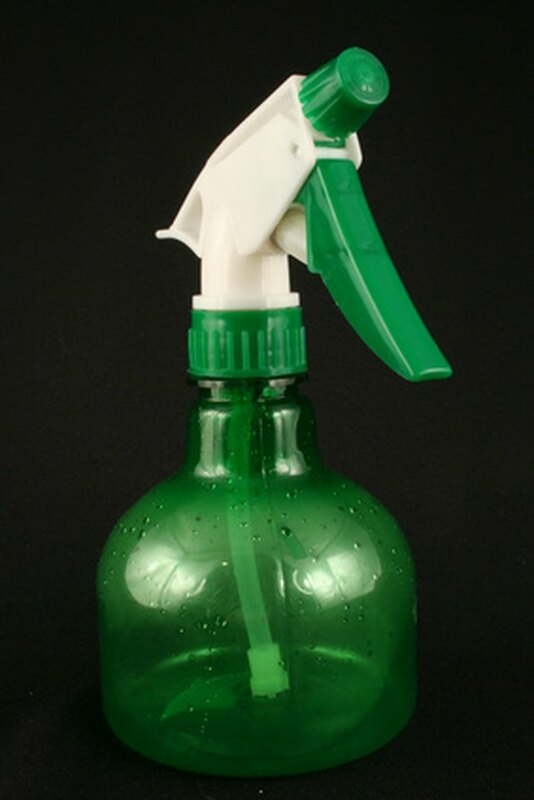 Mix homemade cleaning solutions in a spray bottle for easy use. Mild liquid dishwashing detergent goes a long way to breaking down the urine stain and removing it from cloth, carpets and wood. Because dishwashing detergent is mild and does not contain bleach, it is gentle enough to use on any surface that can handle water. White distilled vinegar is a common household stain remover. White vinegar is a slightly acetic solution that will counteract the urine and remove it. It is also effective in removing the urine odor. Mix 1 cup of white distilled vinegar with 2 cups of warm water. 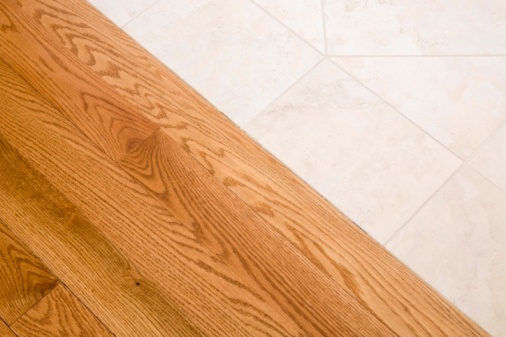 Apply the solution to the floor with a cloth or scrubbing brush until the urine stain and smell are gone. Ammonia is also commonly used to remove urine stains and odor. Despite its effectiveness, ammonia can cause discolorations in some carpets and floor stains. Avoid discolorations by testing a very small amount in an out-of-the-way area of your home. Mix 1 tbsp. of ammonia with 1 cup of water, and apply it to the floor with a scrubbing brush or a clean and dry cloth. Always rinse the ammonia out as soon as the stain is removed. Baking soda is an effective way to remove even very strong urine odor. While other cleaning methods may cover up the urine smell, baking soda actually removes it from the stain and from the air by absorbing the odor smells. Sprinkle the baking soda over the stain after it has been completely removed. Let the baking soda sit for at least one hour, and vacuum it up. If the smell is still apparent, sprinkle fresh baking soda over it again and let it sit for another hour.